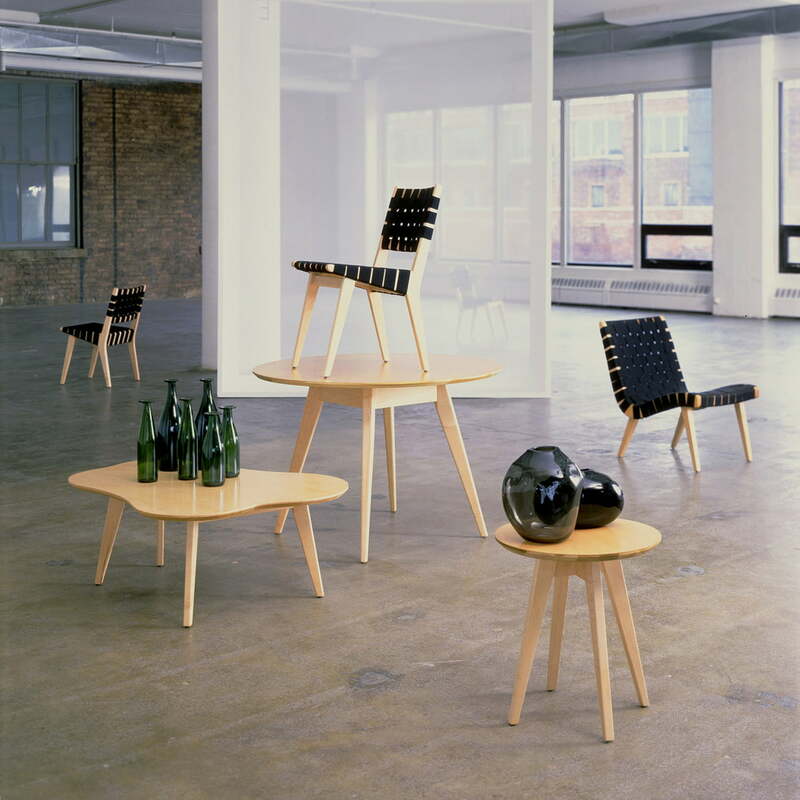 Jens Risom designed the original of the contemporaneous Risom Lounge in the year 1941 – simple seating furniture embossed by natural aesthetics. Knoll manufactures the seating furniture since the 40es. Risom integrated belt-fabric-rests for his first designs; these ones have been used in the army becoming creatively used, unusual material for this lounger. The Risom Lounge bribes with its Scandinavian purity and invites to rest. There are cotton stripes surrounding the wooden frame today, instead of the original belt rests. 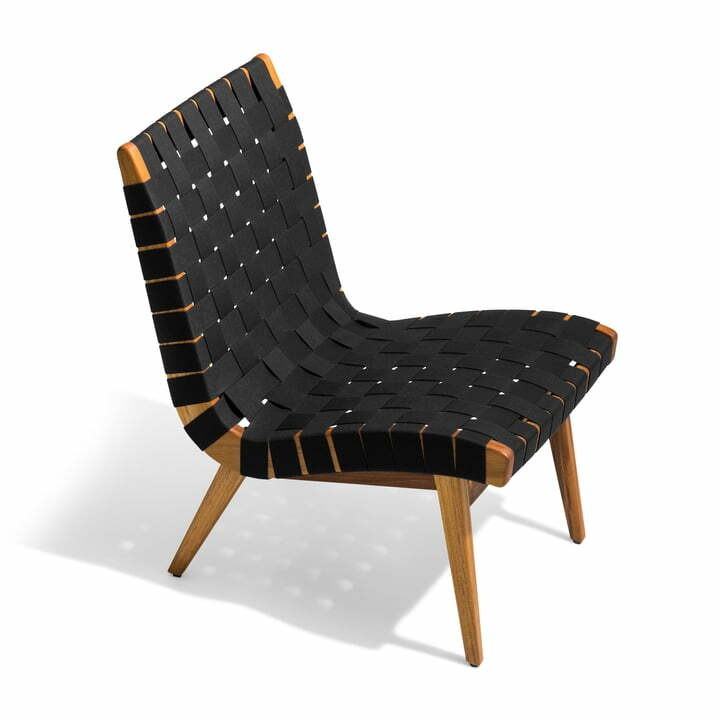 The cotton straps are interwoven and offer a comfortable seat. Selected, surface treating maple wood is used for the seat’s frame. The seat is made out of pure cotton and available in red, black or a natural tone. Merkmale: In Jens Risoms Originalkollektion für Knoll aus dem Jahre 1941 fließen die natürlich-ästhetischen Charakteristika schlichten skandinavischen Designs ein. Dieses Design, einer der ersten jemals von Knoll in Auftrag gegebenen Entwürfe, zählt zu den KnollStudio-Klassikern. Aufbau: Das Gestell ist aus ausgewählten Ahornhölzern in Zapfenkonstruktion gefertigt und mit Klarlack versiegelt. Die Polsterung besteht aus 100 % natürlicher Baumwolle. Oberflächen: Das Gestell ist mit Klarlack versiegelt. Die Baumwollpolsterung ist in den Farben Schwarz, Flax oder Rot erhältlich.